Gail & Nadech – line://shop/detail/1994 – Thailand VPN. SEED Special Edition – line://shop/detail/1995 – Thailand VPN. Hero Palungkid – line://shop/detail/2000 – Thailand VPN. 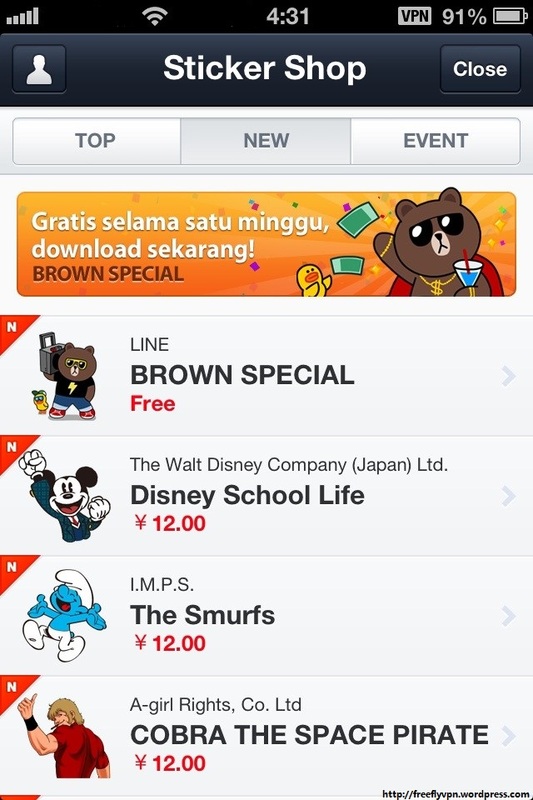 LINE Characters: HOT DEAL SPECIAL – line://shop/detail/1996 – Indonesia VPN. Welcome to Barcelona- line://shop/detail/1997 – Indonesia VPN. Fanta & GOLDEN BOMBER – line://shop/detail/1988 – Japan VPN. 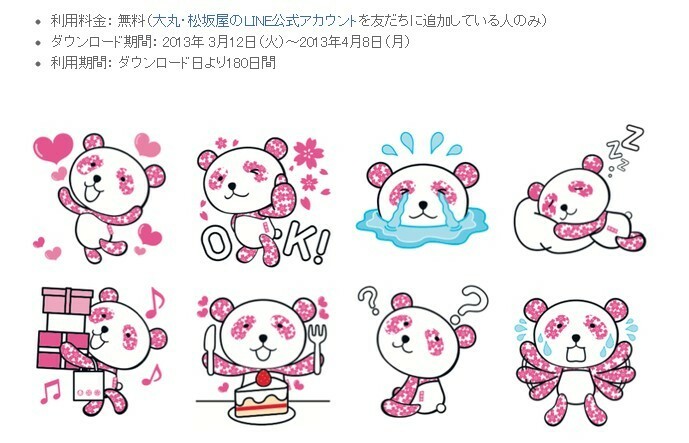 Wancl & Girlfriend – line://shop/detail/1989– Japan VPN. 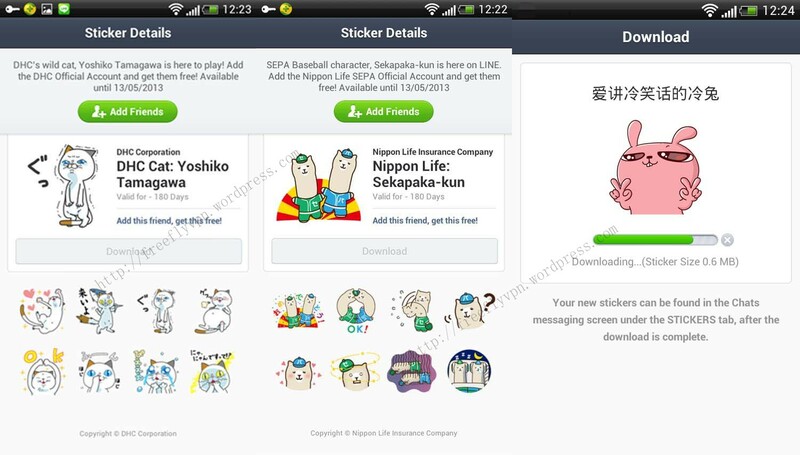 Pochi – line://shop/detail/1990 – Japan VPN. COLOR99 (Vitality Articles) – line://shop/detail/1991 – Taiwan VPN. Coca-Cola Polar Bears Part 2 – line://shop/detail/1992 – Taiwan VPN. Diario de una volátil Vol. II – line://shop/detail/1962 – Spain VPN. Diario de una volátil Vol. II – line://shop/detail/1963 – Italy VPN. 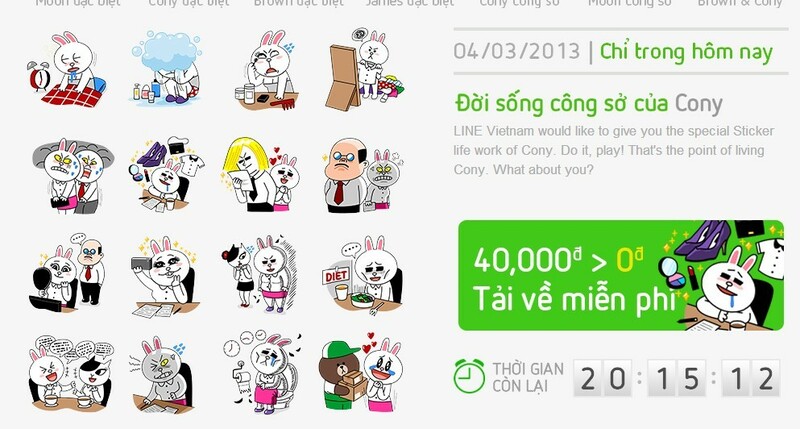 If you haven’t found good VPN services for Line stickers, please access FlyVPN official website http://www.flyvpn.com. It provides all countries server above. 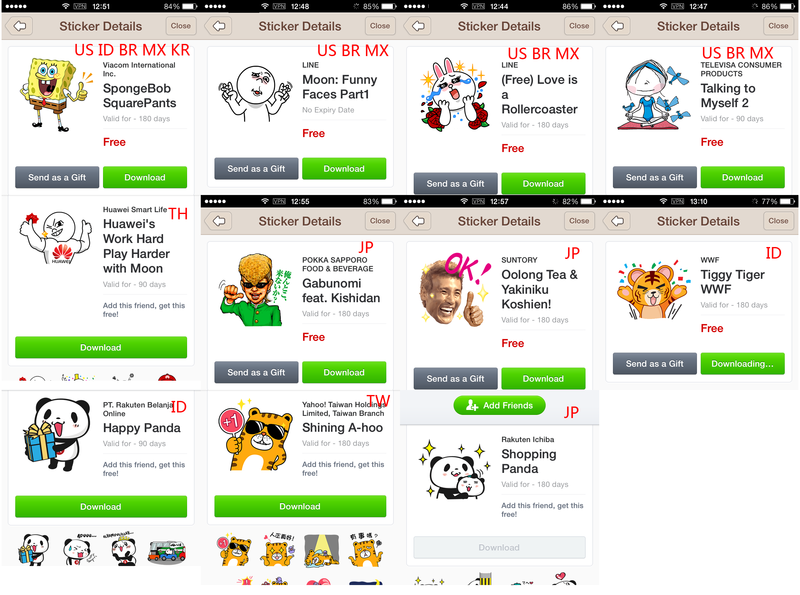 The target of this article is to guide people to get free line stickers on iOS(iPhone,iPad,iPod,iTouch) from other countries.Most of Line users who have got free Lines stickers with vpn have used Flyvpn. 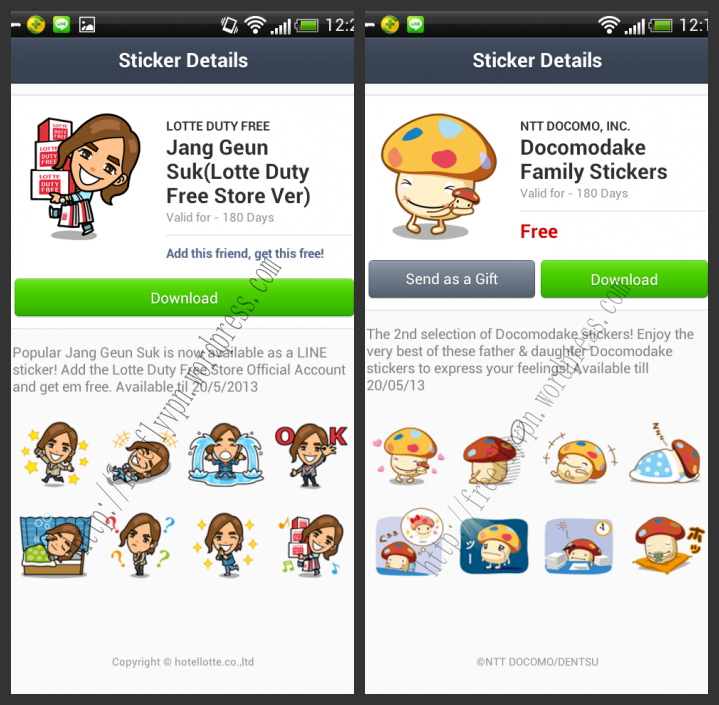 Now there are two stickers in Japan.It is Docomodake Family Stickers and Jang Geun Suk(Lotte Duty Free Store Ver).If you love to get those cute stickers on iPhone and iPad.Download Line stickers on iPhone is more easier than Android devices.If you want to download Line stickers on Android.Please refer to the article about how to download Line stickers on Android.Anyone want to get stickers on iPhone,iPad.Please follow below instructions. 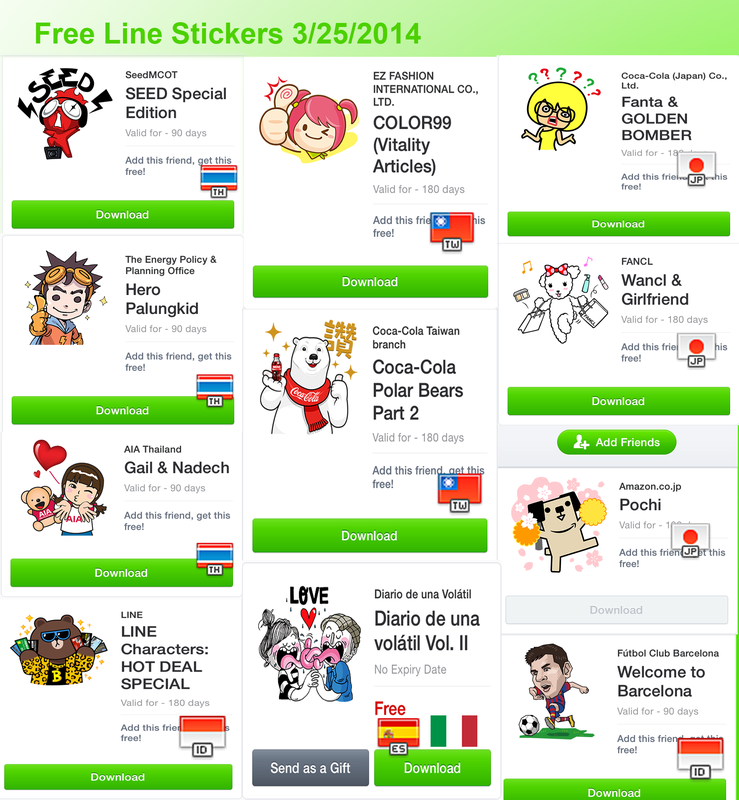 Tutorial-Download Free Line Stickers On iPhone,iPad With Flyvpn . (1)Please register Flyvpn account at m.flyvpn.com .If you can’t log in it.Please access m.flyvpn.net . (3)Then you can see many countries in Flyvpn server list.Choose the server you want to use.Also you can choose 2 or more servers by click “Batch Mode” ,Please check the vpn server you want to connect. (6)Then you change the vpn status to “on”.Now you are connected to Fl yvpn . Please refer to the tutorial on how to setup Flyvpn on iPhone,iPad. Anyone want to reproduce this article.Please note the address: https://freeflyvpn.wordpress.com . 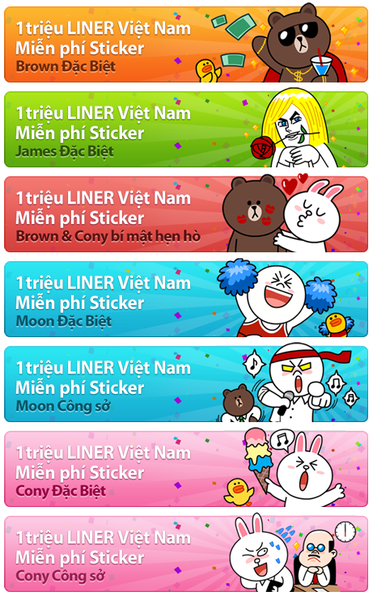 Line is sending five new stickers from India. 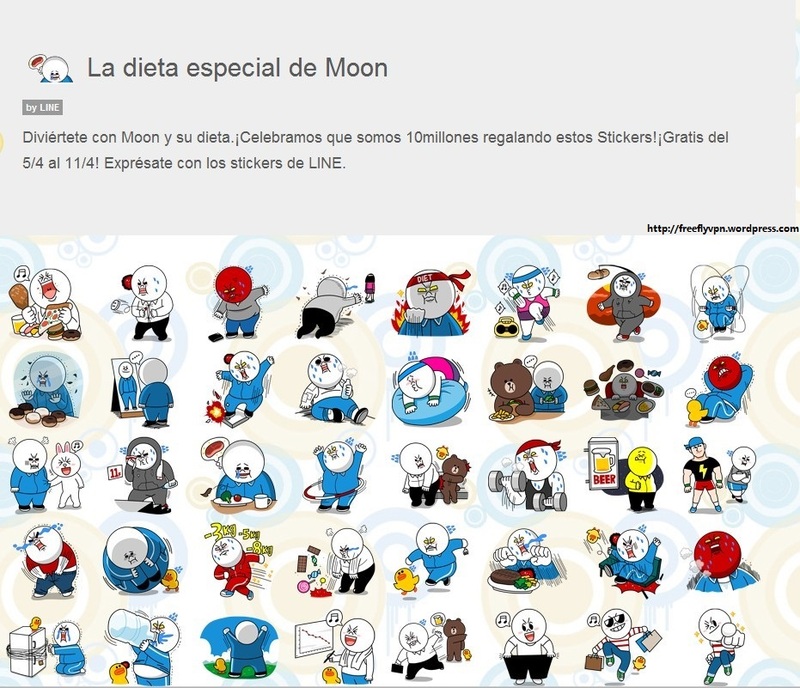 It is “Sally: Special Edition”,”Moon: Mad Angry Edition”,”Moon: Salaryman Special”,”Cony’s Happy Work Life” and “Brown & Cony’s Secret Date!”.But only guys whose IP address is India.So if you are living outside in India.You have to get vpn to change ip into India.I always use Flyvpn free trial vpn account to get Line stickers from Japan,Thailand,Vietnam,Indonesia,Korea,Spain and so on.But Flyvpn is not providing India vpn currently.According to the news from Flyvpn customer services,Flyvpn will add India server in two days.Anyone want to use free trial India vpn to get line sticker. Please focus on Flyvpn official website or Facebook page https://www.facebook.com/pages/Flyvpn/518312621518640?fref=ts . 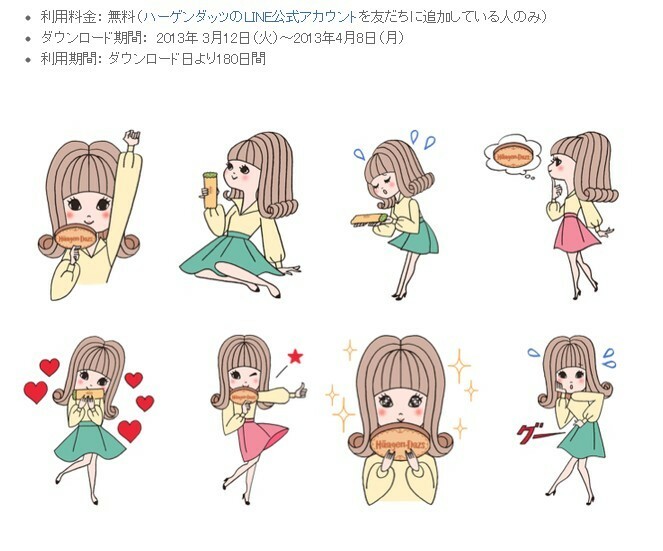 If you do not know how to get free line sticker On android or iPhone,iPad.Please refer the related article: https://freeflyvpn.wordpress.com/2013/03/12/free-japan-vpn-for-line-sticker-on-android/ . Anyone want to reproduce this article. Please note the address: https://freeflyvpn.wordpress.com/2013/04/19/five-new-stickers-from-india/ . 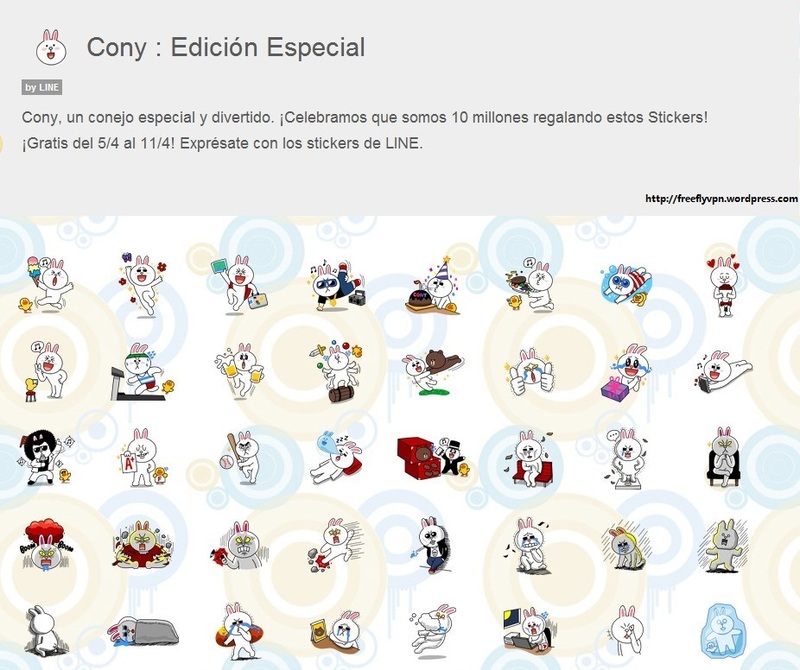 Good news for people who love to play Line.To celebrate there are 10 million Line users in Spain.Users can get two stickers in Spain.It is “Cony Special Edition” and “Special diet of Moon“.This activity will end on 11th April.So please grab this opportunity.This activity is only available for users with Spain ip. So if you are residing outside of Spain.The simplest way is to chang ip into Spain to get free Line sticker.What you need is VPN or proxy.But i know that proxy can’t be applied on phone or other devices.Also Line users only can use iPhone,iPad,iPod and Android phone.So the first step you need to do is to setup vpn on devices. Free Spain VPN Server: 82.98.129.35 . 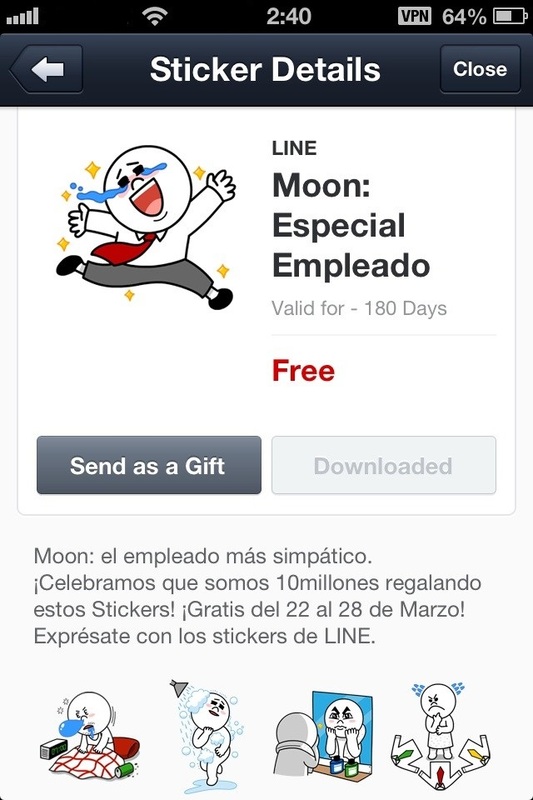 Please refer this article to get free Line sticker from Spain https://freeflyvpn.wordpress.com/2013/03/27/free-spain-server-for-free-line-sticker/ . 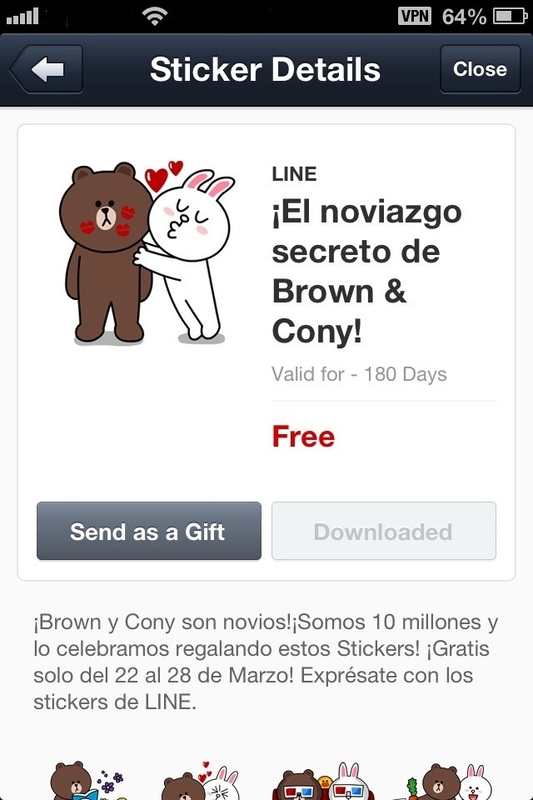 Anyone want to reproduce this article.Please note the address: https://freeflyvpn.wordpress.com/2013/04/07/change-ip-into-spain-to-get-free-line-sticker-on-Android-and-iphone/ . Tutorial-How To Setup VPN On Android. 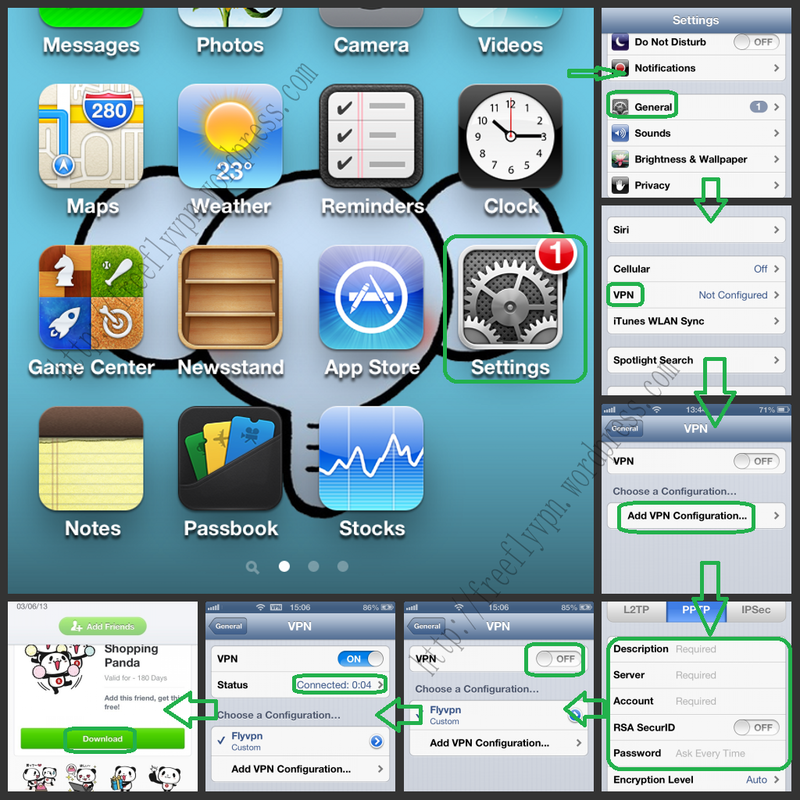 Tutorial-How To Setup VPN On iPhone,iPad,iPod . Tutorial- How To Setup VPN On Mac . *Free Indonesia VPN Account: vpnc. 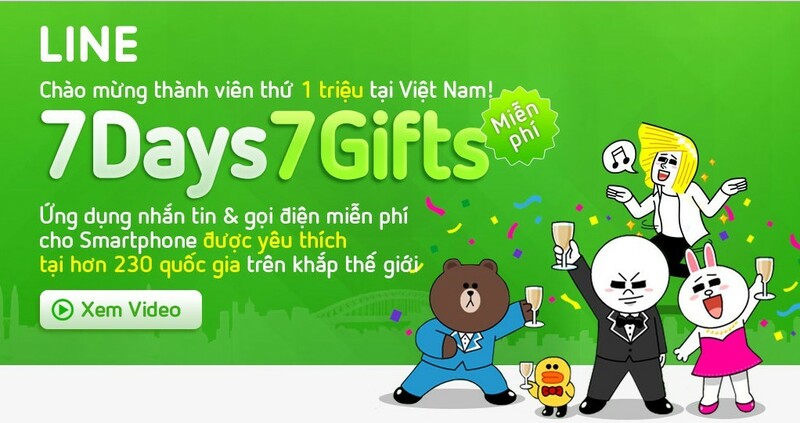 Get Password here: http://www.flyvpn.com/freetrial . Free Indonesia Server: 103.28.15.7 . 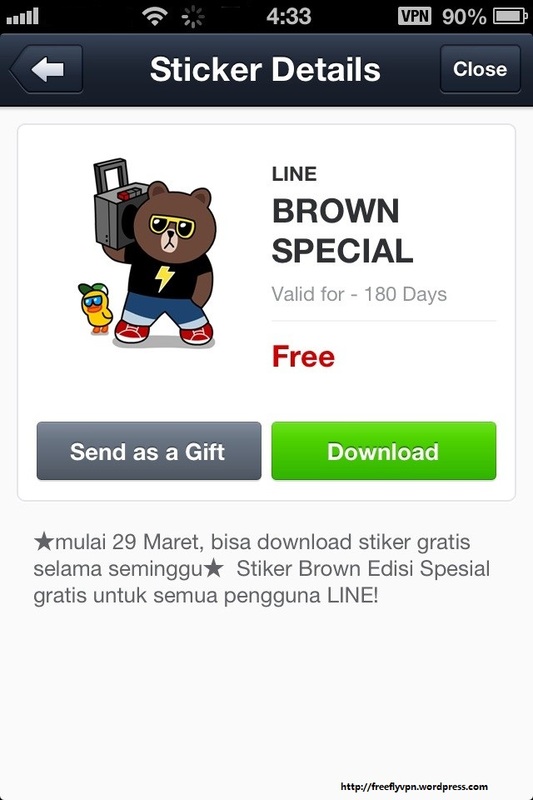 Secondly,Download Line and register Line account.If you have owned line account.Please close line.exe and then Choose free Indonesia VPN to get free line sticker. 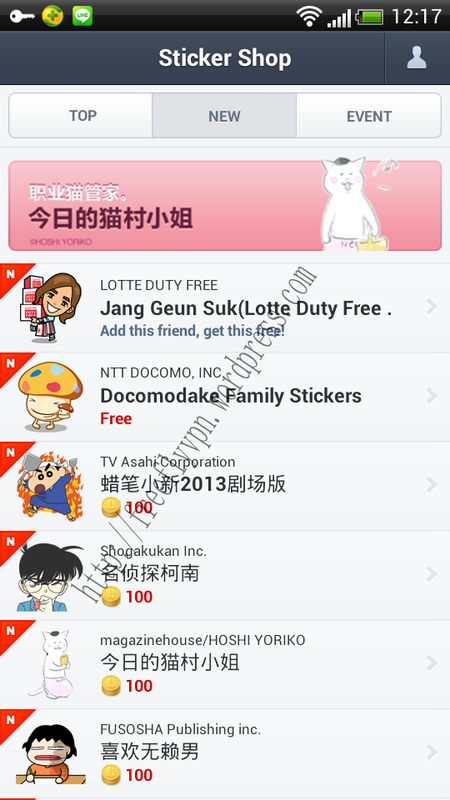 Thirdly,Then you will find one free line sticker on sticker shop as photo. Anyone reblog this article.Please note the address: https://freeflyvpn.wordpress.com/free-indonesia-vpn-for-free-line-sticker/ .